Carrying the legacy from a small economy car to the ruler of British Streets, Mini didn’t leave any stone unturned. 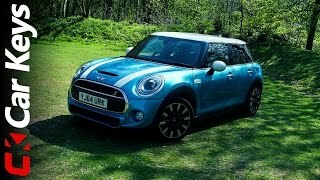 Let that be than its Clubman, S 5 Door, John Cooper Works or the Mini Cooper SD 5 Door 2015. The model offers lots of space and comfort without compromising with the power beneath its hood. 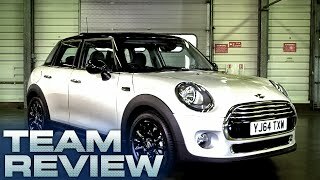 Let us have a close look at the review of Mini Cooper SD 5 Door 2015 to know more about it. The interior of Mini Cooper SD 5 Door 2015 is far more spacious when compared to the hatch version. With its extended wheelbase, not just you but the cargo you carry has enough space to find a space inside this newly released model. However the interior of the model isn’t just about the space, it avails you ultimate ride comfort, safety and connectivity. There is an electromechanical power steering housed in front of the driver’s seat while other features offered includes, Differential Lock Control, Dynamic Traction Control and Dynamic stability control as standard. Talking about the safety the front and side are housed with airbags while the 3-point automatic belts come as standard for all the seats. There is also a new 8.8 inches display screen mounted over the dash featuring infotainment and entertainment through its 4-line color display. 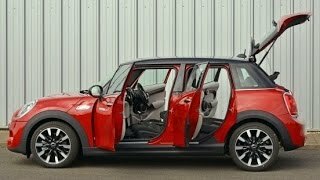 In all rounding up the interior details of Mini Cooper SD 5 Door 2015 I would say it is a gem of engineering and designing that the company is offering to its buyers. The exterior of Mini Cooper SD 5 Door 2015 doesn’t brings enough changes when compared to the hatchback version. However the elongated body will undoubtedly make it splatter a unique impression and yes not to be forgotten the extra pair of doors. Featuring a sportive stance the model rolls over 15-16 inch light alloy wheels. The front fascia is adorned with oval shaped headlights while the traditional grille sits amidst them a little close to the bumper. The roof, mirror caps and the wheels get blend of white complimenting the blue colored body. Moving towards the rear end the almost-squared tail lights and the dual-faced exhaust tips looks gorgeous. 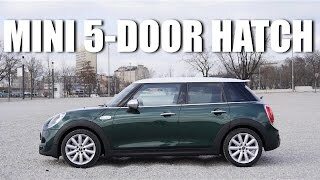 In all rounding up the exterior details of Mini Cooper SD 5 Door 2015 I would say though it has resemblances but still it has everything to stand proudly beside you. 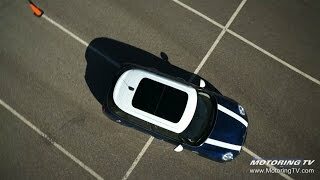 Beneath the hood of Mini Cooper SD 5 Door 2015 is a 2.0 Liter four-cylinder MINI twinpower Turbo tech engine cranking total output of 170 hp and peak torque of 360 nm paired to sic-speed manual transmission as standard while the option to go for six-speed automatic is also available. With this power rolling the wheels of the model, top speed of Mini Cooper SD 5 Door 2015 touches the mark of 140 mph with manual transmission and with automatic it reaches 138 mph. Talking about the 0-62 mph sprint knock time it takes 7.4 seconds with manual while automatic bends the streets down in just 7.3 seconds.